The Ironman v0.8 draft contains the complete CS2013 Body of Knowledge, fully revised based on comments from the previously released CS2013 Strawman draft. We are now calling on the computing community to submit exemplars of courses and curricula to better connect the CS2013 Body of Knowledge to real, existing approaches representing diverse and innovative ways to teach computer science. The CS2013 Curriculum Steering Committee is seeking exemplars of courses and curricula from the broader community. This open process will better connect the CS2013 Body of Knowledge to real, existing approaches representing diverse and innovative ways to teach computer science. In computer-science terms, the topics and learning outcomes in the Body of Knowledge represent a “specification”, whereas a curriculum is an “implementation” and a course is part of a curriculum. The CS2013 Ironman v1.0 draft (the penultimate CS2013 draft) will be released in early 2013, containing an initial set of such course/curriculum exemplars. 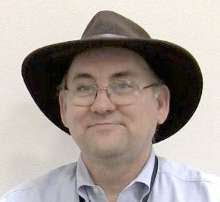 Including exemplars as part of the CS2013 effort is a new idea not present in previous versions of the ACM/IEEE-CS Computer Science Curriculum guidelines. The steering committee believes they will provide greater value than stylized model courses that do not directly describe actual experience. 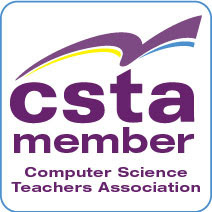 Submitting an exemplar is your opportunity to present a successful approach to teaching computer science in a way that will prove useful to educators working to adopt the CS2013 guidelines. A special session, entitled “CS 2013: Exemplar-Fest,” will be held at SIGCSE-13. This session will showcase submitted samples of CS2013 course/curriculum exemplars and provide the opportunity to engage the community in the development of additional course/curricular exemplars for CS2013. Exemplars submitted prior to December 5th can be considered for potential inclusion in this special session. The special session will be held on Friday, March 8, 2013 from 10:45am to 12:00pm. We welcome additional comments on the CS2013 Ironman draft from the computing community. Information on how to comment on the draft is available at the CS2013 website. Comments on the Ironman draft will be addressed in the final released version of CS2013.